If you like stuffed vegetables, don’t miss this one – Guys’ Restaurant is a fantastic restaurant that serves home-style food and their specialty is stuffed vegetables of all kinds – zucchini, eggplant, potato, cabbage, peppers, and many more types of stuffed vegetables! 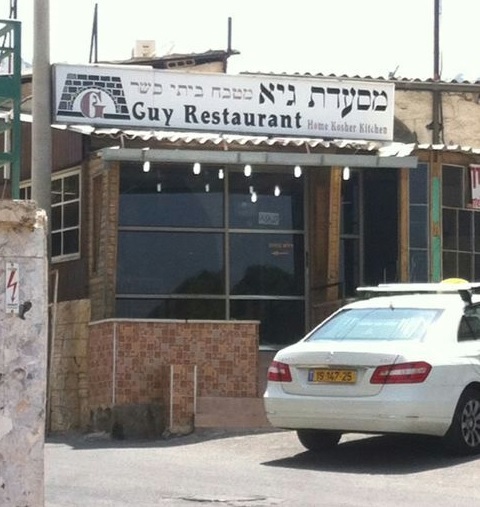 Near the center of Tiberias, just off the main road, there’s a little ‘workers style’ restaurant that people come to from afar! 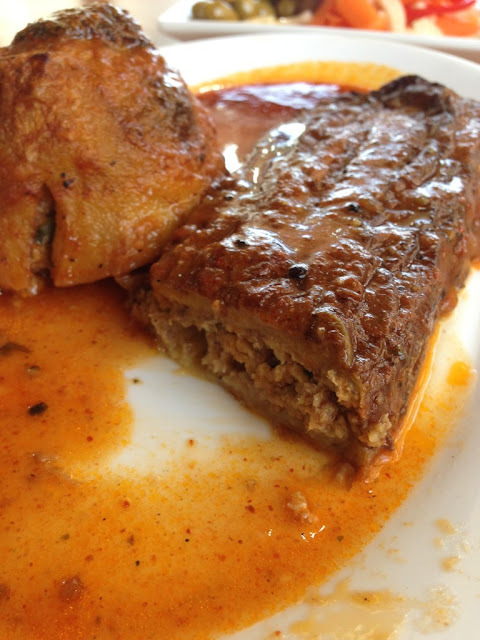 The restaurant serves a variety of dishes, including salads, main courses including chicken, meat and fish. Perhaps the best dish is stuffed eggplant. It is filled with mean and tastes like heaven! 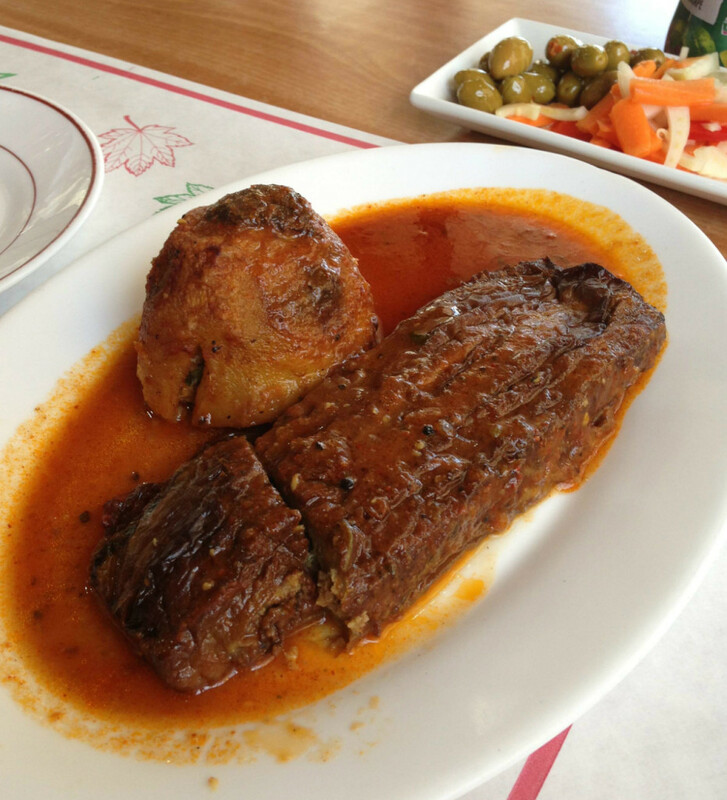 The stuffed eggplant (30 nis) and the stuffed potato (15 nis) are shown in the picture below. And this is what it looks like from the side. I highly recommend coming to the restaurant for lunch. Their service is efficient and there’s free parking on the road uphill near the restaurant.